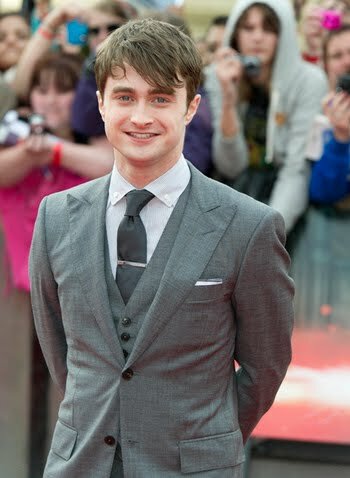 The 22-year-old actor – who starred alongside the Hollywood hunk in 2005 movie 'Harry Potter and the Goblet of Fire' – explained he hasn't seen Robert since the 25-year-old star shot to fame starring in 2008's 'Twilight,' but he is pleased he has become popular. Speaking on Access Hollywood Live, Daniel said: "We worked together on the fourth ['Harry Potter'] film, but I haven’t seen him since any of the 'Twilight' movies. Robert starred as wizard Cedric Diggory in the fourth 'Harry Potter' movie - and Daniel, who played the titular character in the 10-year film series, admits his co-star has turned into the "most famous guy in the world" in the last three years. He added: "He’s had to deal with a lot. [As soon as the 'Twilight' movies came out] Robert was suddenly the most famous guy in the world." 'Harry Potter and the Deathly Hallows: Part 1' and 'Harry Potter and the Deathly Hallows: Part 2' triumphed over Robert's 'The Twilight Saga: Eclipse' movie at the Teen Choice Awards earlier this month, winning a combined six accolades compared to the vampire film's three gongs.